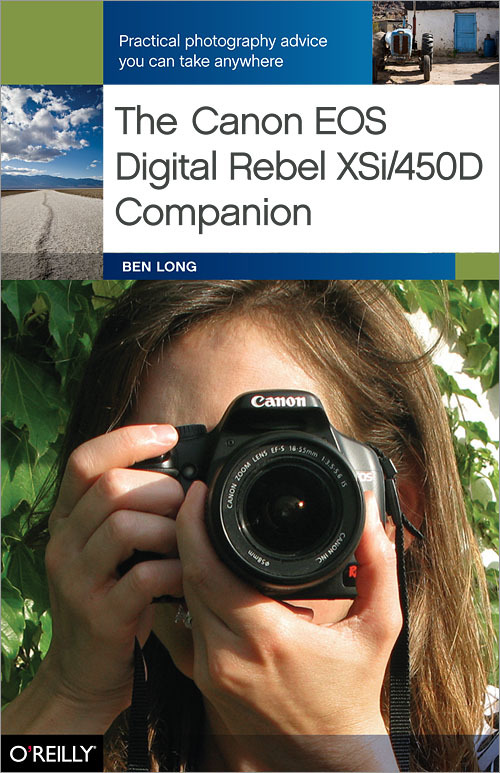 Through a series of easy-to-follow lessons, The Canon EOS Digital Rebel XSi/D450 Companion gives you a complete class on digital photography, tailored specifically for people who use this camera. This is not a typical camera guide: rather than just showing you what all the buttons do, this unique book teaches you how to use various Digital Rebel features to make great photographs. With The Canon Digital Rebel XSi Companion in your camera bag, you have the perfect field reference for taking stunning pictures of any occasion or place, any time. You get valuable creative tips and technical advice for capturing professional-looking images of people, landscapes, action shots, close-ups, night shots, and more. There are plenty of photography books, but only this companion guide teaches you how to take high-quality digital photos using the camera model you own. Professional photographer Ben Long includes plenty of full-color examples to show you what's possible once you graduate from snapshots and focus on the pictures you've always wanted to take.